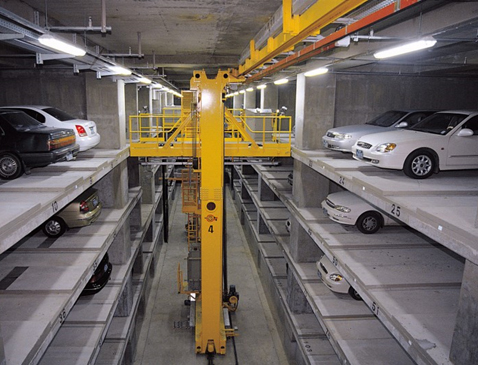 Stacker type parking system is designed to shorten the time of vehicle entry and retrieval due to simultaneous horizontal and vertical stacker movement. 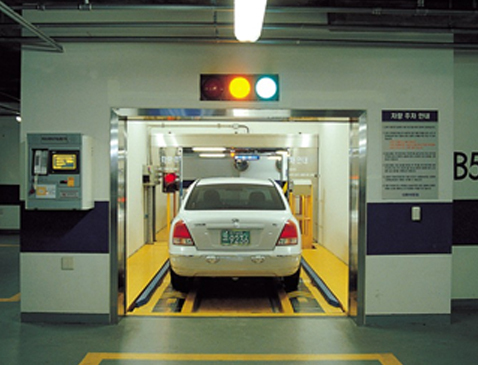 One system can accommodate from 50 to 120 vehicles. This type of APS is more effective when installed on mid and large size objects, with 2 stackers. Two pallet or pallet free types may be provided depending on exploitation conditions. Turntable may be installed in order to provide more convenient conditions for turning and departing. 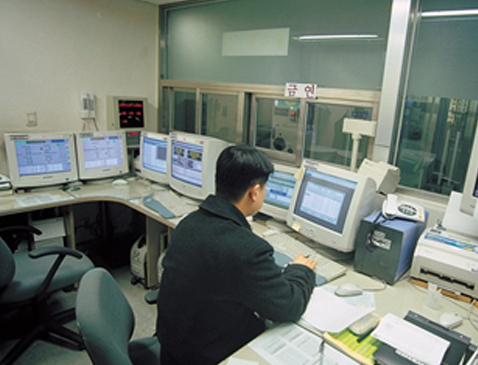 Various types of control: sensory touch screen panel, computer, RF-card, allowing smooth operation of whole system.